Good. 0749704667 ALL BOOKS SHIPPED WITHIN 1 DAY OF PURCHASE! Good. Fast Dispatch. Expedited UK Delivery Available. Excellent Customer Service. No dust jacket. Ex Library. Wear to extremities. Very Good. No Dust Jacket. 2 prior owner names to FEPs. Ticks to lower boards, corners worn. 2nd printing. Good. 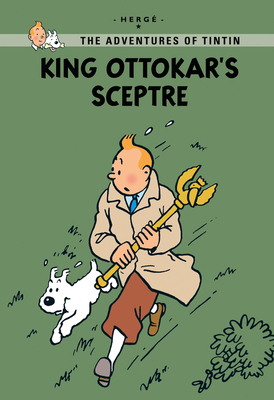 King Ottokar's Sceptre (The Adventures of Tintin) by Herge, 1990-02-05. Text in English, Belarusian. 64 p. The Adventures of Tintin . Colour illustrations. Intended for a juvenile audience.